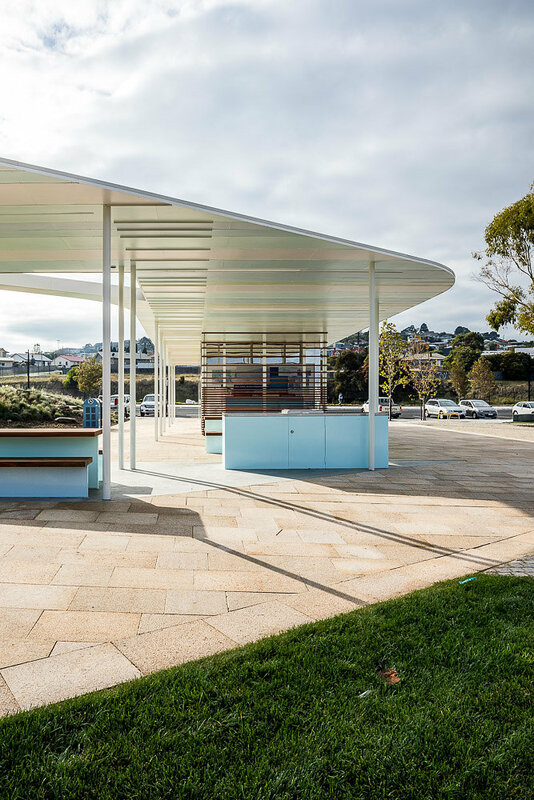 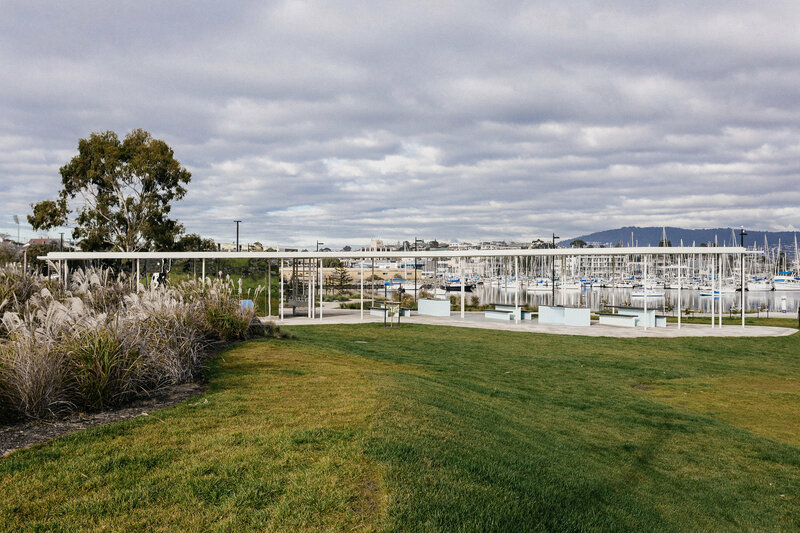 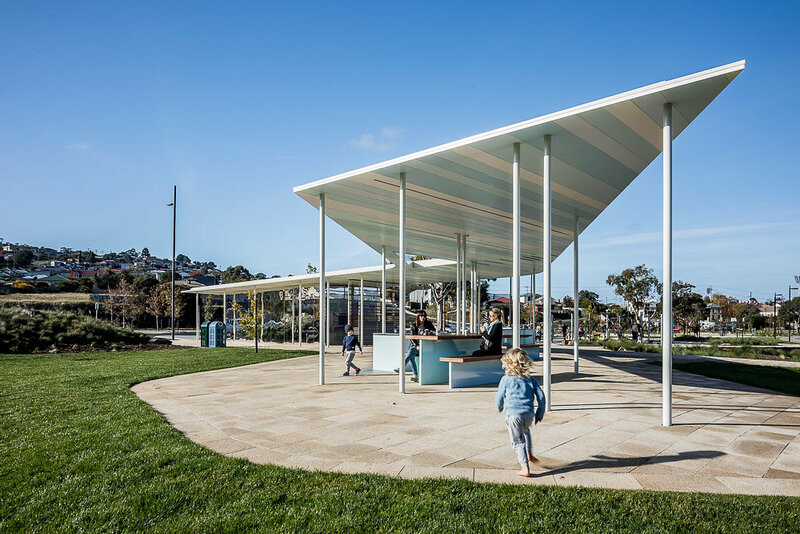 Situated in the heart of the Kangaroo Bay Parklands, the Kangaroo Bay Pavilion sits lightly in its context – nestled between a bay, a playground and a sports oval. 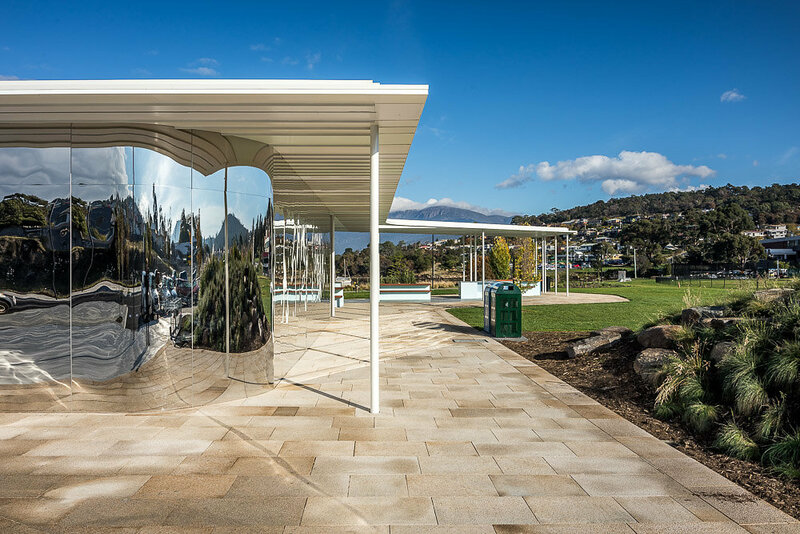 A coloured soffit, crisp white yacht mast-like columns and polished stainless steel enable the form to complement its surroundings and ‘borrow’ the landscape. 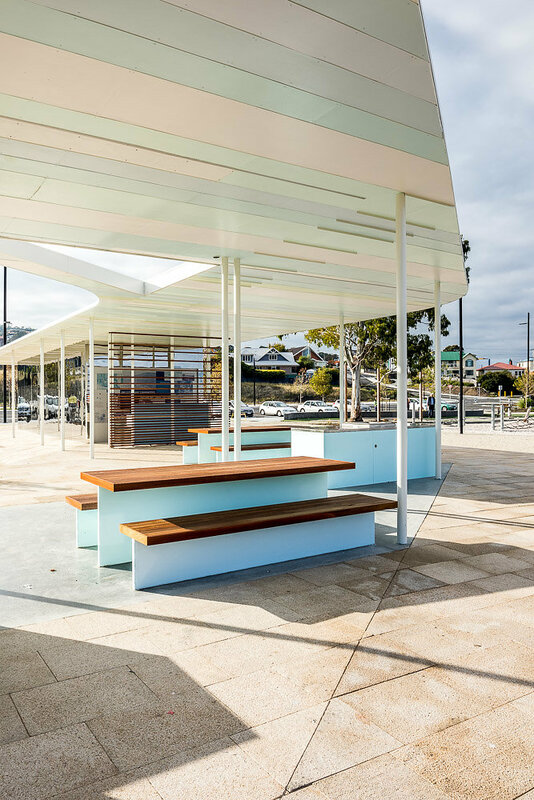 The brief for the project called for a barbeque and amenities pavilion which also included a purposely designed ‘Changing Places’ accessible changing facility and ancillary storage.